When thinking about aged care, the particular needs of farmers can add further complications to an already complex subject. This article discusses a number of issues to be considered and recommends professional advice. This article explains the potential impact of the value and use of the family home on aged care fees. It provides a short case study and recommends professional advice. Residential aged care is playing an increasing role in helping many older Australians enjoy comfortable and carefree lives. However, one of the tasks for anyone assisting an elderly relative with the move into aged care is to investigate the various fees and charges, some of which are subject to both assets and income means tests. As the family home is often the largest asset and can be a source of income if rented out, it’s particularly important to understand how it is treated in relation to these tests. Aged care services are constantly evolving which makes it difficult for most people to keep up with what is available for themselves or their loved ones. It is such a personal decision that this article has been written as an interview, giving a first-hand account of one lady’s initial aged-care experience to explain how the Home Care packages work. Supporting older loved ones no longer means removing their independence. With in-home care readily available, older people and their families are benefitting. At 79 years young, Maria plays lawn bowls twice weekly, lunches with friends and regularly attends seniors’ movie nights. This article is a summary of the types of costs associated with aged care, highlighting the need to be aware of the little incidentals charged as extras that can have an impact. It also discusses the point that, in our aging population, those seeking aged care for older loved ones, may soon be in the same boat and how a financial adviser can help. We’re an ageing population; the media keeps reminding us, as does the government, but are we prepared for what this means? As a society? As individuals? One thing’s for sure – it’s something we cannot ignore. The focus on self-funded retirement, doesn’t always consider increasing life-expectancy and what happens beyond pension-funding projections. This article outlines the cost of aged care to demonstrate that it might not be as prohibitively expensive as many people believe. It uses a case study to gently explain this difficult topic. A growing number of Australians are encountering the challenges of assisting elderly relatives with the move into aged care. One of them is David. Recently, he had to help his formerly active 78-year-old mother, Jan, with the painful decision to move into care when she was struggling to fully recover from a broken hip. It meant leaving the family home she had lived in for decades, separation from most of her possessions, and moving into an unfamiliar environment surrounded by strangers. It was a time of great emotional stress for both of them, and adding to that stress was the discovery that Jan's care would cost many thousands of dollars each year. Australian aged care policy is based on the view that those who are financially able to should contribute to the cost of their care. While people with little money will have their accommodation costs paid by the Australian government, a means test sees wealthier individuals paying for part or all of their aged care. 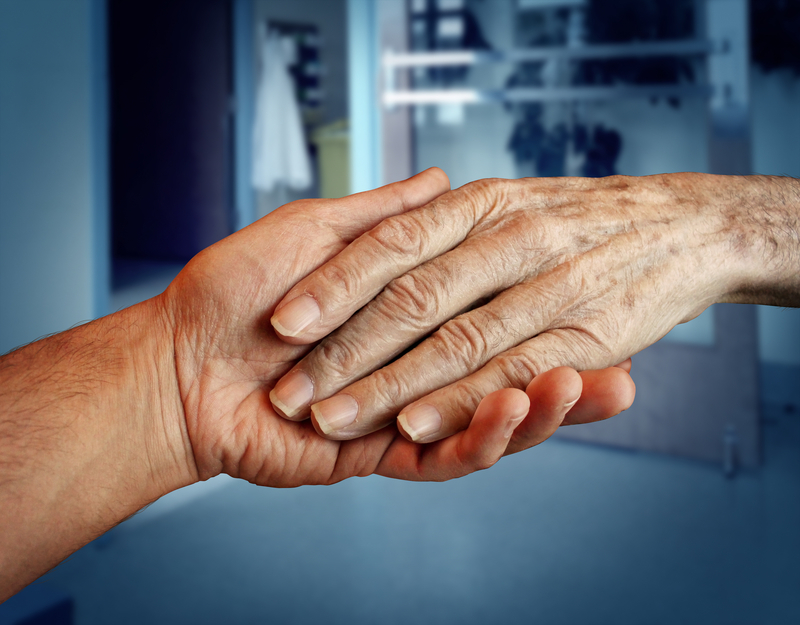 This article discusses key areas of aged care to assist your readers further understand this growing need in our community and apply it to their own current or future circumstances. As older Australians make up a larger portion of our population, affordable and reliable care options for our seniors become paramount to more families. Naturally, when investigating options for an elderly person, finding the right level of care is crucial, as is anticipating future care requirements and planning ahead. The implications on pensions and other benefits that occur when older Australians choose the “Granny Flat” option of living. This is something that not many people are aware of which can have major impacts on a person’s pension. There are several choices of accommodation older Australians may consider when they can no longer live in their own home. One option is living with a family member or friend. This arrangement – if formalised – is generally considered as a ‘granny flat arrangement’ and any payment made for that arrangement is referred to as an Entry Contribution (EC). For age pensioners any change in living arrangements may affect Centrelink entitlements so it is important to consider the following. This article provides basic information on the three categories currently available for aged care services in Australia. An excellent article for people who might need these services for themselves or family members but don’t know where to start. Anyone considering the use of aged care facilities in Australia can be overwhelmed by the range of options available and the associated rules and guidelines. Given that this decision is usually emotionally charged, here is a brief outline of some of the options to make it a bit easier. With aged care in the government spotlight, this article encourages people and their families to plan ahead for aged care instead of leaving it to the last minute. It is expected that the Australian population over the age of 70 will reach nearly four million in the next 20 years, which means that aged care is an issue that will affect an increasing number of families. But it’s not just older Australians who need to understand how the aged care system works – anyone with aging parents may find themselves having to understand this complex system at very short notice. Many people will make private arrangements for their retirement living. They may stay in their own homes, perhaps with help from family or other carers. Some will move into a retirement village and retain their independence. For others, a time will come when they need a higher level of care.